Arap toprakları üzerinde haksız Yahudi işgaline son! Persian or central Asian illustration showing Mohammed (on the right) preaching. Miniature of Mohammed re-dedicating the Black Stone at the Kaaba. From Jami Al-Tawarikh (“The Universal History” written by Rashid Al-Din), a manuscript in the Library of the University of Edinburgh; illustrated in Tabriz, Persia, c. 1315. Muhammad’s Call to Prophecy and the First Revelation; leaf from a copy of the Majmac al-tawarikh (Compendium of Histories), ca. 1425; Timurid. From Herat, Afghanistan. In The Metropolitan Museum of Art. Mohammed on his prayer rug; Persia, late medieval (date unknown). Mohammed arrives on the shores of the White Sea. Also from the Apocalypse of Muhammad, written in 1436 in Herat, Afghanistan (now in the Bibliotheque Nationale, Paris). Fourteenth-century Persian miniature showing the Angel Gabriel speaking to Mohammed. 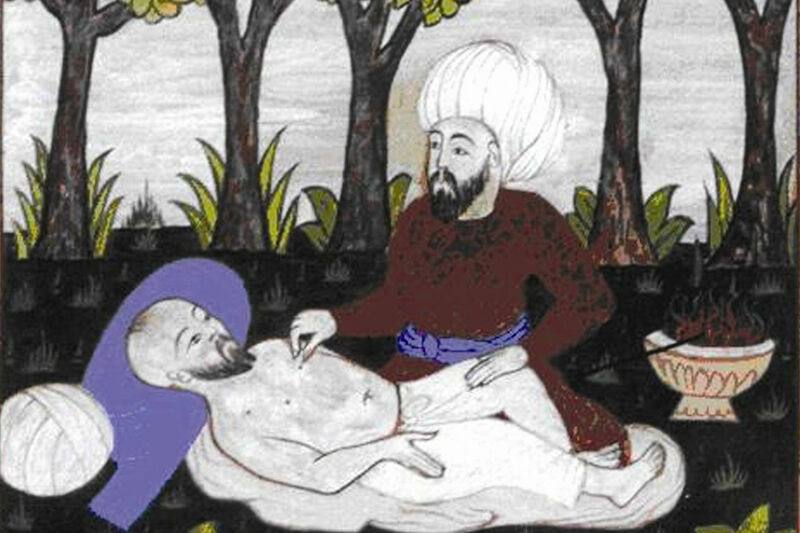 Mohammed at Medina, from an Arab or central Asian medieval-era manuscript. Mohammed Received by the Four Angels; Persia, 1436. Mohammed with head emanating flames (a sign of holiness). Source unknown. Mohammed Splits the Moon. Illustration taken from a “Falnameh,” a sixteenth century Persian book of prophesies. Artist unknown; watercolor painting; Mohammed is the veiled figure on the right. Currently housed in The Saxon State Library, Dresden, Germany, part of an exhibition that was displayed at The Library of Congress in 1996. 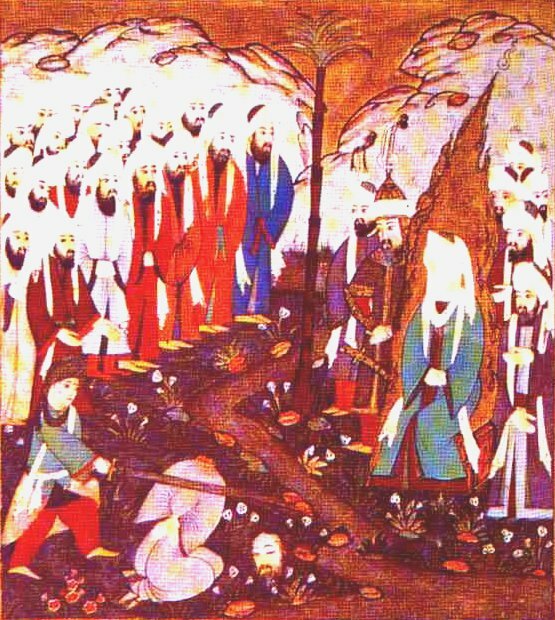 An imagining of Abu Bakr stopping the Meccan Mob, in a Turkish miniature from the 16th century C.E.